Well that was an eventful weekend. Warning: This is a long(ish) one. I will get on to the review part of this post in just a second so please don’t get put off by the next paragraph – it’s not as depressing at it may at first sound. So, a little personal news. I mentioned a couple of weeks ago that my Grandmother (‘Granny’ to me) had had a stroke. Up until that point she was living independently at her own home at the age of 92. She recovered partially from that stroke and she was able to see and talk to my dad and his brothers over the next few days… but while still in hospital she suffered another stroke and never regained consciousness, dying on Saturday morning. We will all miss her and her random Christmas presents (though, I have to admit they were actually disappointingly very appropriate just recently) but we are grateful for her full and active life. She didn’t even read my blog while she was here so I’m doubtful she’ll see this next bit now… but… ‘Goodbye Granny’. At the point I heard the news, I was dropping child 1 (aged 9) at his 10:00am tennis coaching. I parked up at the club and then helped out there for a couple of hours. I then was due to play in a match an hour later so after a quick lunch, I then served at my child for half an hour while he attempted to return them. The mixed doubles match I was in started at 1pm and all seemed to be going well. Child 1 was in the clubhouse listening to the football match on the radio and… …and then I noticed play had stopped on the adjacent court. One of our men had got injured two games in and couldn’t continue. As it was so early in the match, our opponents graciously allowed a substitution to take place. Step up Child 1. So after two hours of coaching that morning he then very much steps up to the mark and plays the ten remaining games of the first match… then 12 games in the second match and a further 12 in the third – helping his partner to win just enough games for our club to win overall. Nice one, son. So although nearly 5 hours of tennis is not normal preparation the day before a 20 mile road race, there was a part of me that was happy not to expect too much of myself at this event. I would try to run the whole way round, take it slow from the start, NOT run a half marathon PB by over five minutes and then slow massively in the final few miles (like last year! ); I would enjoy it. Secretly, I would have loved a time below 3 hours but I accepted that this was unlikely as it would mean averaging 9 minute miles for the whole 20, and it’s officially ‘undulating’. Anything around 3:10:00 and I’d be happy. 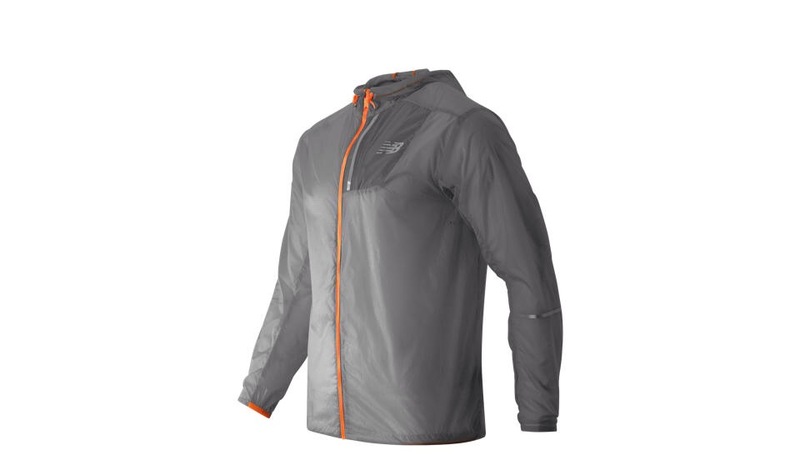 I wore it for the first 4 miles, packed it into its own pocket and carried it for the next two and then chucked it at my family when I passed them at mile 6. It was so light though that it flew over their heads and onto a random person’s drive. Sorry about that, random person. In a moment of instant payback though, I wasn’t looking where I was going and ran straight into a traffic cone. The pain in my toe thankfully only lasted for about a mile. 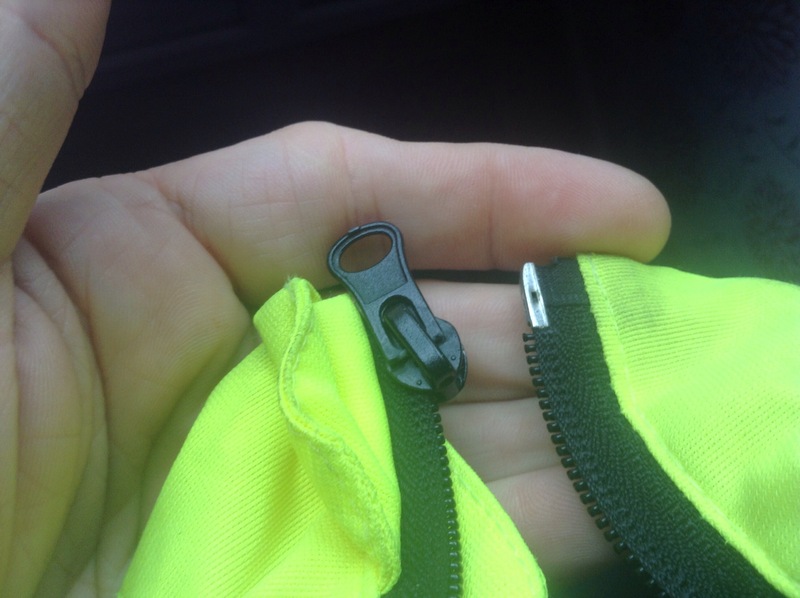 …but it’s on the wrong side isn’t it? 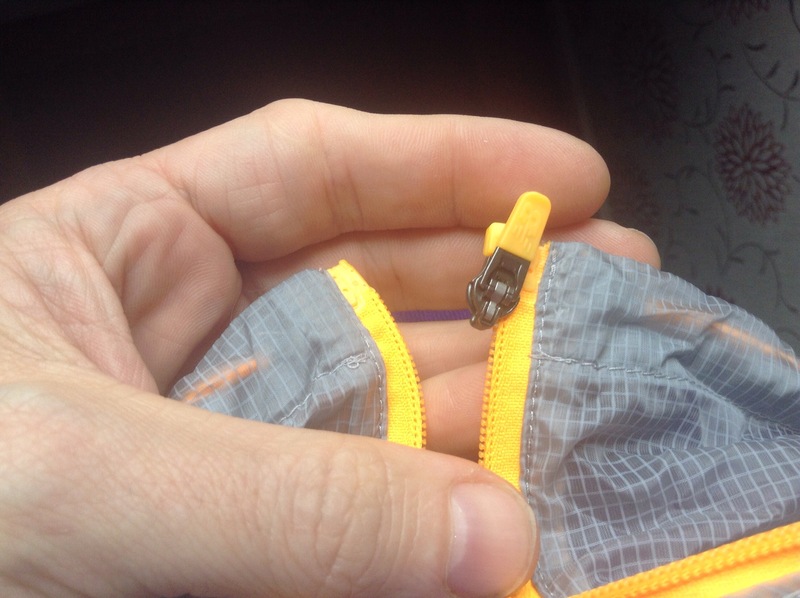 …always with the moveable zippy bit on the left (as I look at it when wearing). 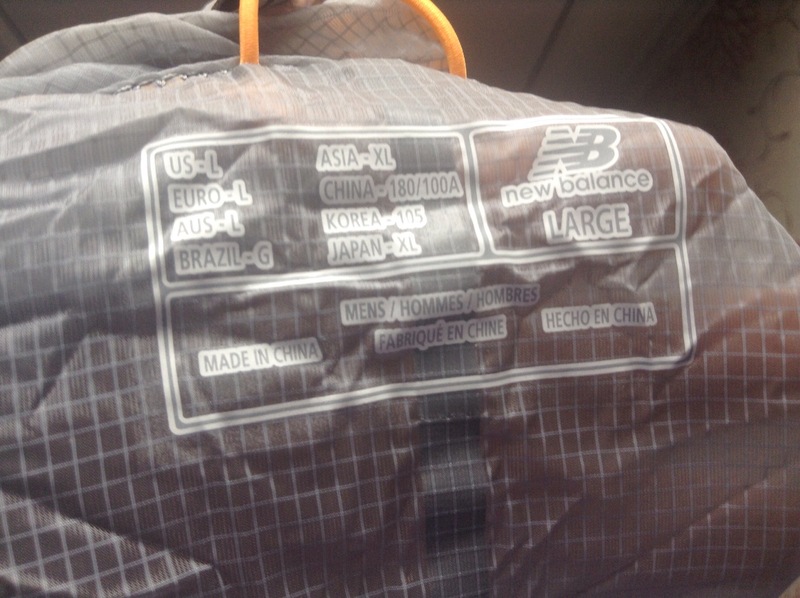 Then there’s the New Balance Lite Packable… zipper on the right. This should not be a tricky thing for a moderately intelligent human being, you would think. But can my brain get around this?… no. It’s like one of those trick bikes that steers the wrong way at a fair. Have you seen them? No matter. They exist, and it’s like that. My brain just cannot do the switch. 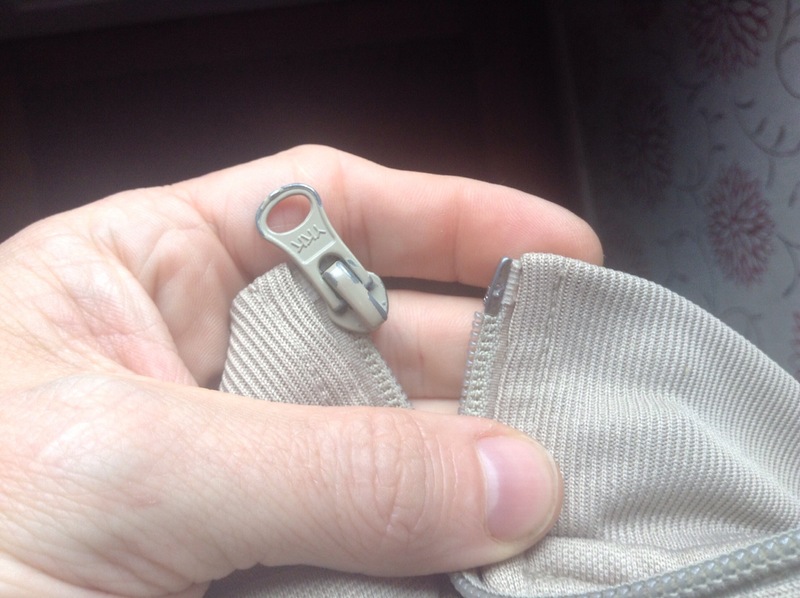 It has been the undoing of me…. or not, as the case may be. Summary = Great jacket. 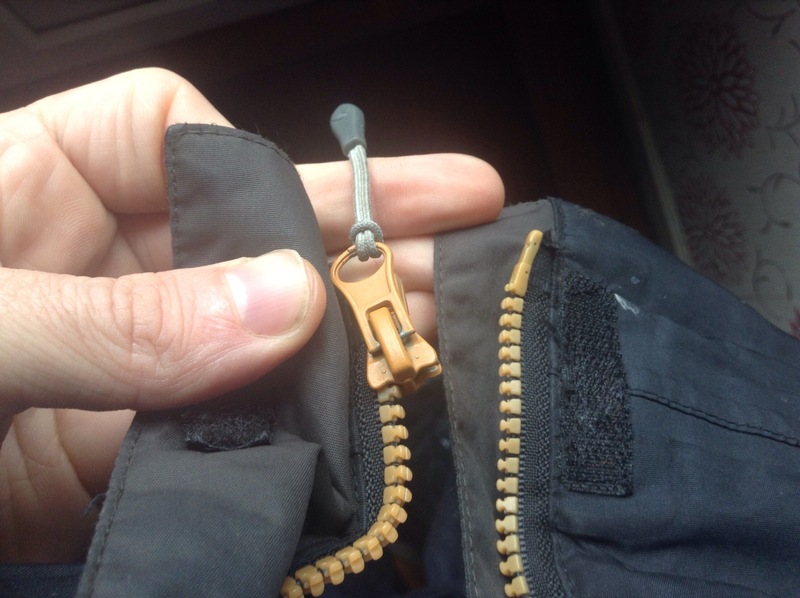 Weird brain-boggling zip. Disclaimer: This is not the most important thing in the world. 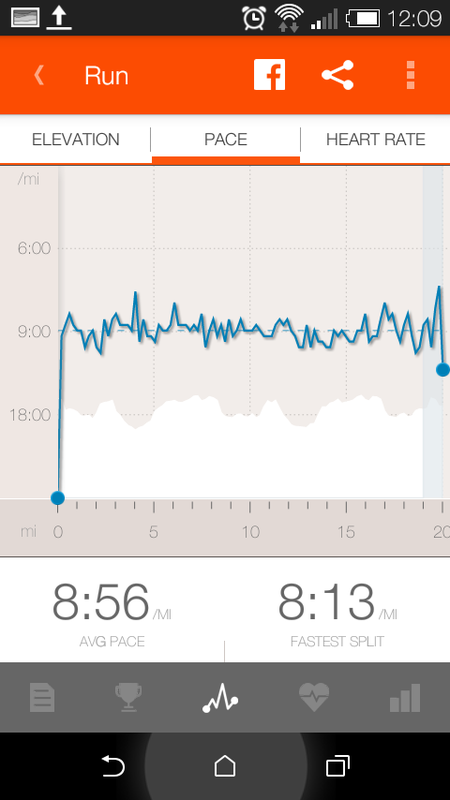 I’ve done plenty of 6 mile runs recently and some of them at faster than 9 minute miles so keeping this going to mile 10 seemed straight-forward. When I got to half-marathon distance at just under the 2-hour mark, I partly thought, “Well done. That’s sticking to the pacing plan.” And another part of me thought, “mmm… I was here last year about 8 minutes earlier and still finished the whole race at 3 hours 4 mins”. The plan then became to try and keep steady pace until mile 17 and then do maths. At mile 17 I did maths. All I needed to do was a parkrun distance in 26 mins to break the 3-hour mark. This might be tough, but do-able! Something that has never happened before towards the end of a race. I started overtaking people instead of getting overtaken. My breathing got a bit strained and loud but I kept going to the end where I could see my lovely family waiting and cheering me on. I even got a £5 spot prize when I picked up my goody bag, just like last year. And just like last year it went straight to the Rainbows charity pot at the cricket pavilion area where I received a decent sports massage. I didn’t even get cramp. That’s a first too! 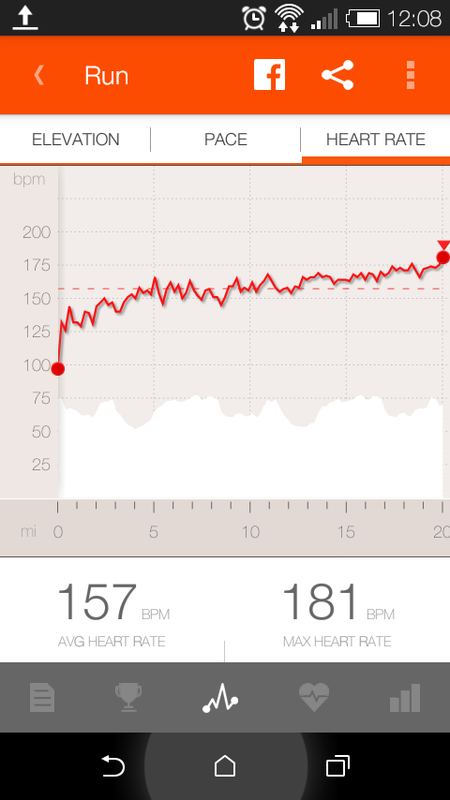 I think I’m a fan of this pacing lark. My heart looks like it enjoyed it. Many thanks to the organisers, volunteers, locals, supporters and other runners for making this an absolutely cracking event. 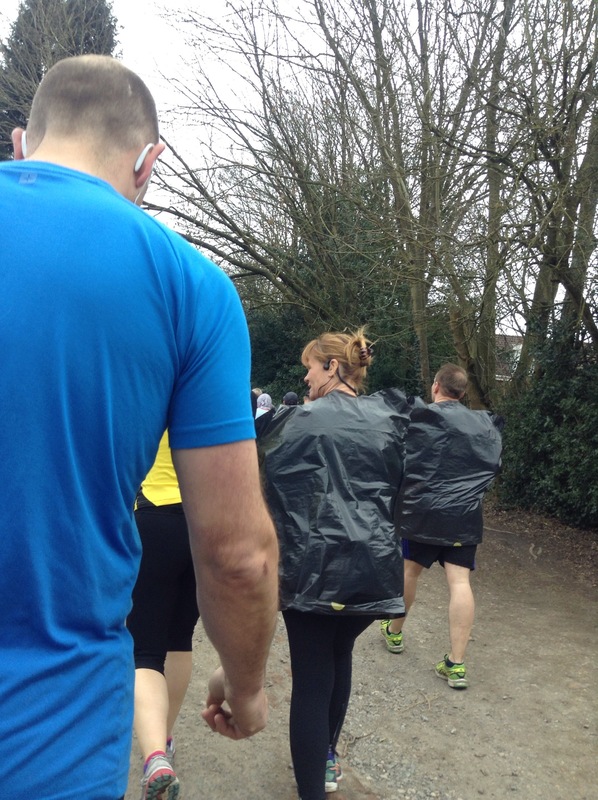 It’s a perfect spring marathon build-up event…But I’m not doing a marathon this year, so I can also say it’s just a brilliant event in its own right. 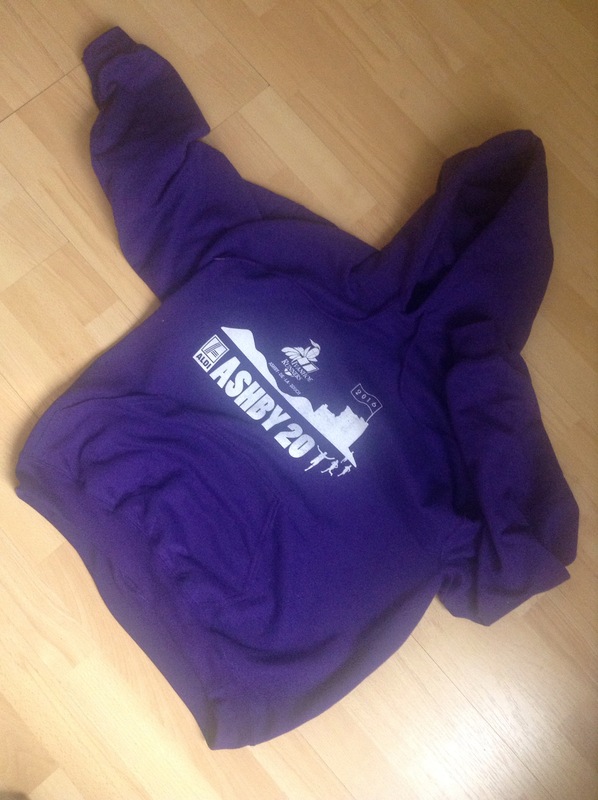 And instead of a medal at the end (which doesn’t keep you warm) you get a hoodie (which does). Big thumbs up for Junior tennis player. The jacket is gender confused I feel. 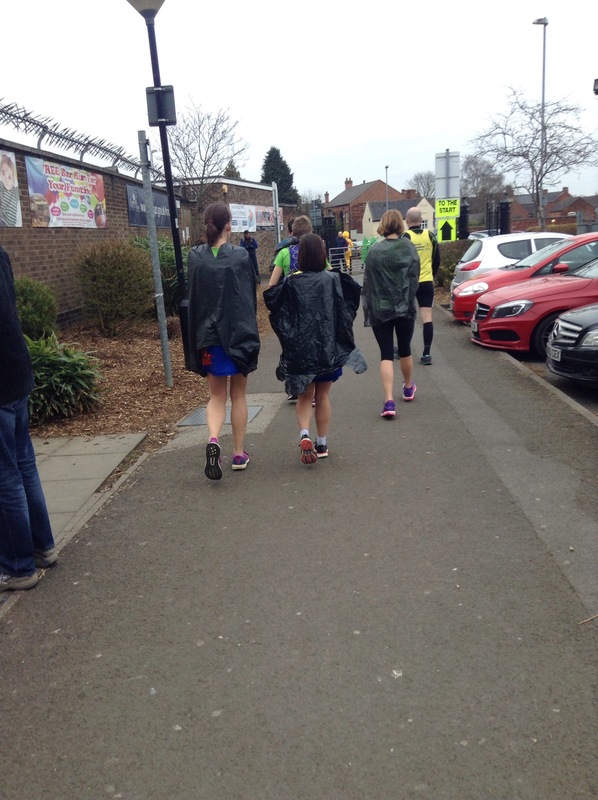 Fantastic time on the 20 mile, great pacing. Nicely done! 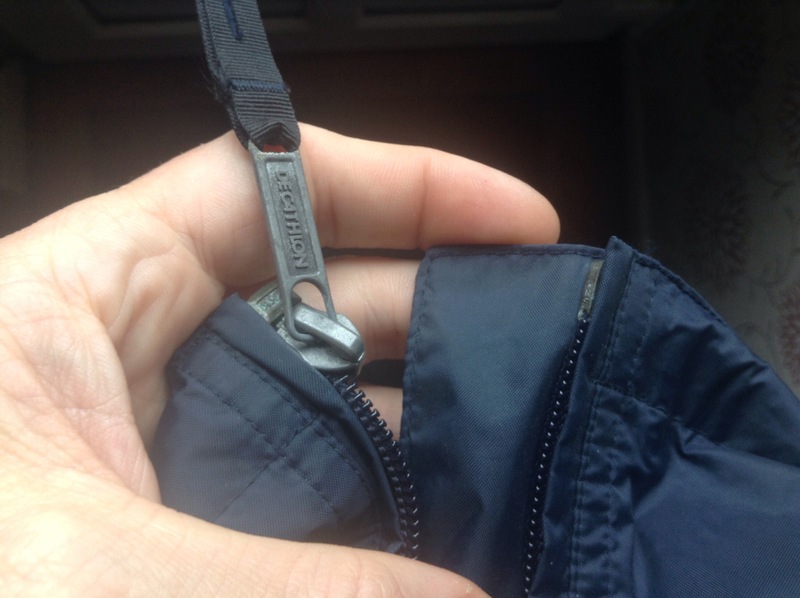 Was the jacket made in the US? 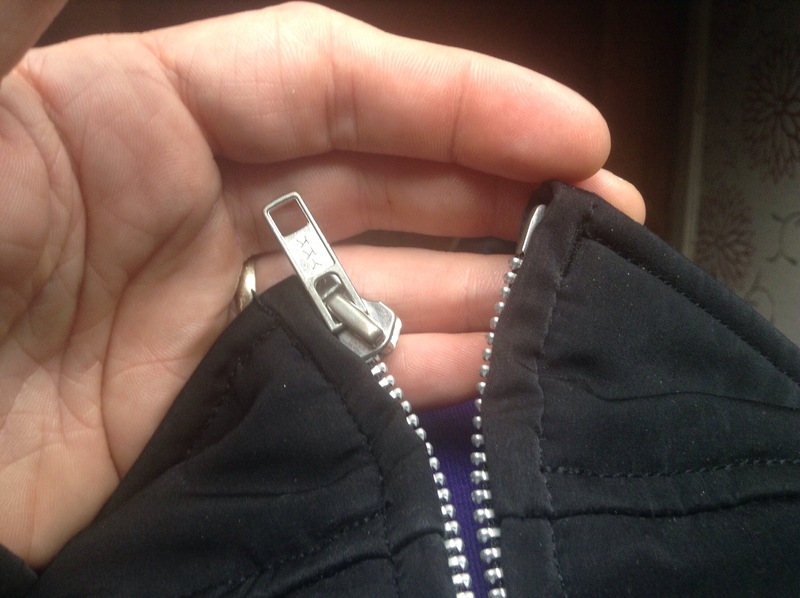 As far as I know all our jackets here have zips on the right, and ones I’ve bought in the UK zip on the left and it always does my head in a bit at first. Ooo… Really? Didn’t know that. I’ll check. Ah, no…. Made in China. 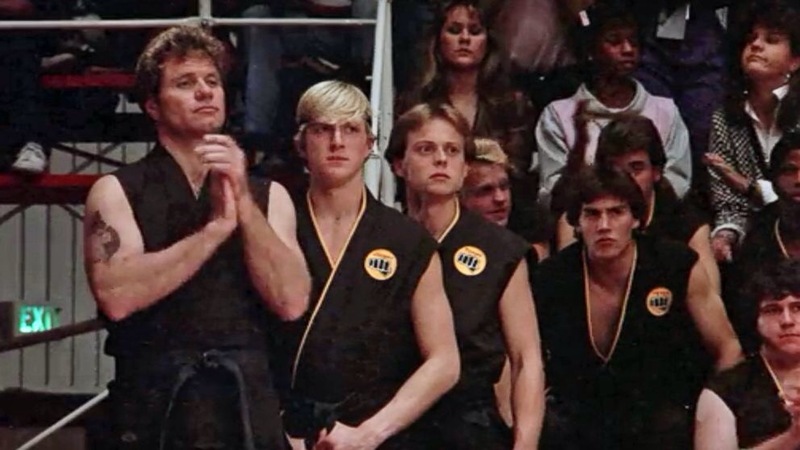 You were in the 1980s classic movie, the karate kid?!!! So sorry about your Granny. Thank you. And good luck.